Las Vegas Restaurants for Wedding Receptions – We have put together this list of our favorite places to eat following your Las Vegas Wedding. Whether you have 10 guests or over 100, these restaurants will be able to accommodate any sized party for your reception. Please ask a wedding consultant for more information about any of the restaurants listed here. 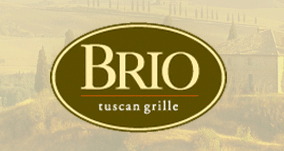 We are happy to answer any questions, provide menus, and also assist with your reservations. Learn more about us. Be sure to tell them that you were referred by the Little Church of the West! Located in the southeast corner of Las Vegas Town Square, about 1 mile south of Little Church of the West. Valet parking is available at restaurant entrance. For more information, contact Nova. On Flamingo & Paradise – Free Standing Building with plenty of FREE parking – located 3.5 miles from Little Church of the West. Our Private Dining Directors coordinate with you to create a one-of-a-kind experience, customized to your group size. Private Dining menus are available on their website. Fleming’s is conveniently located 1 mile south of Little Church of the West, with plenty of on-site parking. Excellent Brazilian barbecue that includes all you can eat flame grilled meats in a wide variety of cuts including: filet mignon, sirloin steak, beef ribs, pork, chicken, lamb, and more. Side dishes and full gourmet salad bar are also included. Atmosphere is upscale and service is impeccable. Private dining rooms are available. Texas de Brazil is conveniently located 1 mile south of Little Church of the West, with plenty of on-site parking. Oscar and Evelyn Overton always dreamed of owning a successful family business an excellent cook, Evelyn’s passion for baking led to the creation of her original cheesecake, a hit with everyone who tried it. By the early 1950s, while raising her two young children, David and Renee, Evelyn converted their basement into a professional bakery and supplied her original cheesecakes to the best local restaurants in her hometown of Detroit. In 1972, once their children were grown, Oscar and Evelyn decided to move their business westward. Using the last of their savings, they opened a small bakery in Los Angeles to sell their signature cheesecakes. They called it The Cheesecake Factory. The original cheesecake inspired their son David to create an original restaurant unique to this day, and in 1978, he opened The Cheesecake Factory restaurant in Beverly Hills, California. Located in the Hughes Center business park, Fogo is bringing the flavors of Southern Brazil to Las Vegas, serving the people who live in, work in and visit the area. Complimentary valet parking is offered during dinner hours. Free self parking is also available. Some people make drinks. We make history. Established in 1892, Hussong’s Cantina has a rich history and has played a significant role in growing the remote little frontier settlement of Ensenada into a hot spot of Baja California. It is often identified as “The Bar That Built a Town”. A lot has happened since that time and now you can share in a little peice of history right here in Las Vegas. 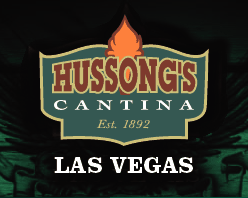 Hussong’s Las Vegas Cantina is located at The Shoppes at Mandalay Place. 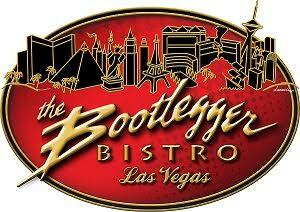 Famous for their margaritas, but the food is exceptional. This is the perfect spot for your less than super formal wedding dinner or reception. Rehearsal Dinner? Wedding Reception? Bachelorette Party? Bridal Shower? Let us help you make your event fun and memorable! With food service ranging from Family Style, Buffet Style to Individually Plated and the ability to provide live entertainment you and your guests will never forget that day/night you spent at Slice of Vegas celebrating your special day. Offering semi-private and private dining rooms, we can accommodate events as small as 12 and as large as 200+, we are prepared to exceed your expectations. No matter what type of event you are planning, Slice of Vegas has the space, the food and the fun to accommodate your event. The intimate atmosphere, acclaimed cuisine, and stunning views from Eiffel Tower Restaurant make it an ideal location for any event. The private dining rooms echo the modern art deco style of the main dining room. The Salon Prive is a fully glassed enclosed private room with the same structural elements, plush red carpet, red velvet chairs, cherry and mahogany wood ceilings as the main dining room. Enjoy the fabulous view of the Las Vegas Strip and the Bellagio Fountains in a private setting. Larger groups will enjoy the spectacular views of the Las Vegas Strip and Bellagio Fountains from the Left Bank. Little Church of the West makes no representations or warranties of any kind, express or implied, about the services or companies listed. We have no control over the services or products they provide. The inclusion of any vendor does not necessarily imply a recommendation or endorsement. In no event will we be liable for any loss or damage arising from use of any outside vendor or service. Click for other wedding services.